Description: An excellent Sauvignon from Chile that shows how good this variety can be for food. Dry, balanced and focussed, it never swamps food flavours. Description: This Sauvignon Blanc is a step-up in intensity and quality that is gained through the use of organic viticulture. Lovely aperitif style. Description: A crisp and aromatic Sauvignon from the most popular region in New Zealand for this style. This organic Sauvignon is versatile and refreshing. 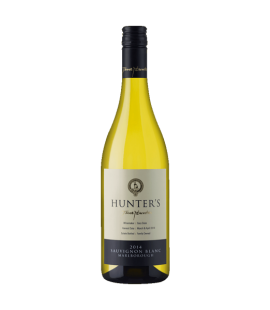 Description: Hunter's flagship white is a perennial favourite. Intense flavours of tropical fruit and refreshing acidity make it ideal for food and aperitif. Description: This benchmark Kiwi Sauvignon Blanc is full of varietal character, zip and cleanliness. Absolutely delightful, it is set to continue its success into the future. Description: Craggy Range is one of New Zealand's finest wineries and this is their brilliant Sauvignon Blanc. Smooth and bright; one of the finest available. Description: This is one of the most famous and loved French whites, made from grapes grown in exceptional terroir in the Loire valley. A stunning wine. Description: This icon is largely responsible for the quality revolution in white wine over the last three decades. Brilliant and delicious, it is a genuine great.